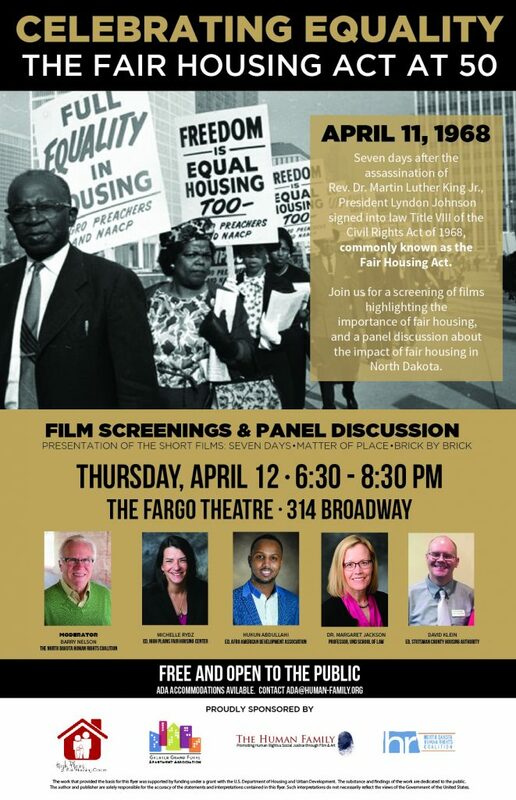 Join the North Dakota Human Rights Film Festival for a special Community Conversation in Fargo, North Dakota. 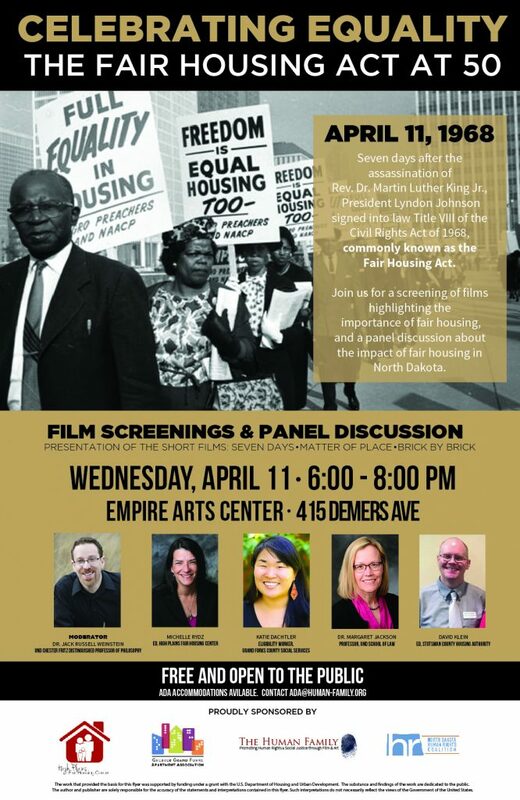 We’ll be discussing what community changes we can make to address the human rights and social justice issues presented during the 2018 festival. 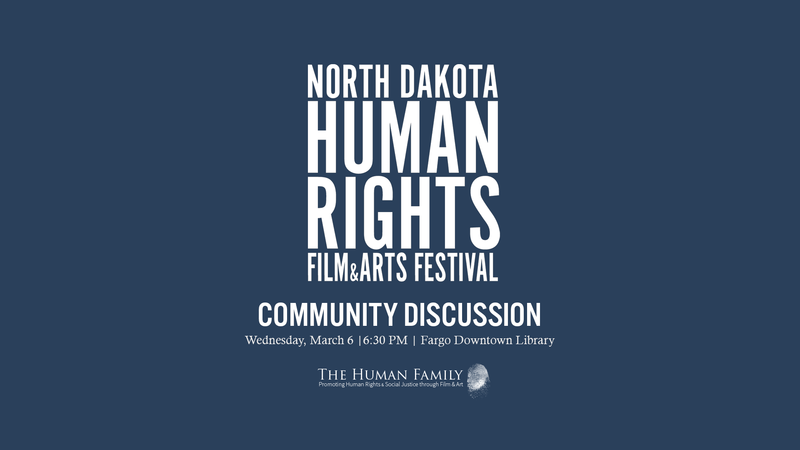 We’ll also be looking at what human rights issues are most pressing in the community and should be the focus of the Fargo screenings of the 2019 North Dakota Human Rights Film Festival. The community conversation will take place on Wednesday, March 6 at the Downtown Public Library at 6:30 p.m. Light refreshments will be available.